Prostate cancer results from the abnormal growth of cells in the prostate. The prostate is a gland in the male reproductive system located just below the bladder. As the prostate gets bigger, it may block the flow of urine from the bladder and lead to problems with sexual function. Prostate cancer is the second most common cancer among men, after skin cancer. Moreover, about one in every five men will likely be diagnosed with prostate cancer in the United States. This image shows the difference between normal prostate cells and those that have undergone hypertrophy (enlargement). Prostatic hypertrophy is a typical symptom of cancer. The September 11th Victim Compensation Fund compensates eligible patients diagnosed with prostate cancer for several reasons. First, a 2013 study found a 17% increase in the rate of prostate cancer in 25,000 World Trade Center responders enrolled in the WTC Health Program. Additionally, dust samples collected from around the World Trade Center contained significant amounts of arsenic and cadmium, which are toxic substances. Arsenic and cadmium are human carcinogens. There is sufficient scientific evidence that these substances cause prostate cancer, according to NTP (National Toxicology Program) and IARC (International Association on Research on Cancer) findings. The Administrator of the World Trade Center Health Program also recognized that responders would have had very high exposures to the arsenic and cadmium in the dust, particularly during the collapse of the towers and for several days after. So too, large deposits of WTC dust in homes and buildings were likely to result in large, short-term exposures. As a result, the Victim Compensation Fund and the WTC Health Program added prostate cancer to the list of covered cancers. As of June 30, 2016, there are 1,140 individuals (1,033 WTC responders and 107 survivors) certified for prostate cancer treatment by the WTC Health Program. Borri Law Offices has more than 20 years’ experience with cancer cases. The firm has collected millions of dollars of awards for 9/11 victims and patients with cancer. If you or a loved one has cancer, or recently passed away of cancer, you may be entitled to compensation. 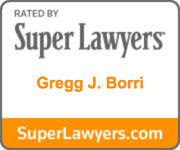 Call Borri Law Offices to arrange for a free consultation.